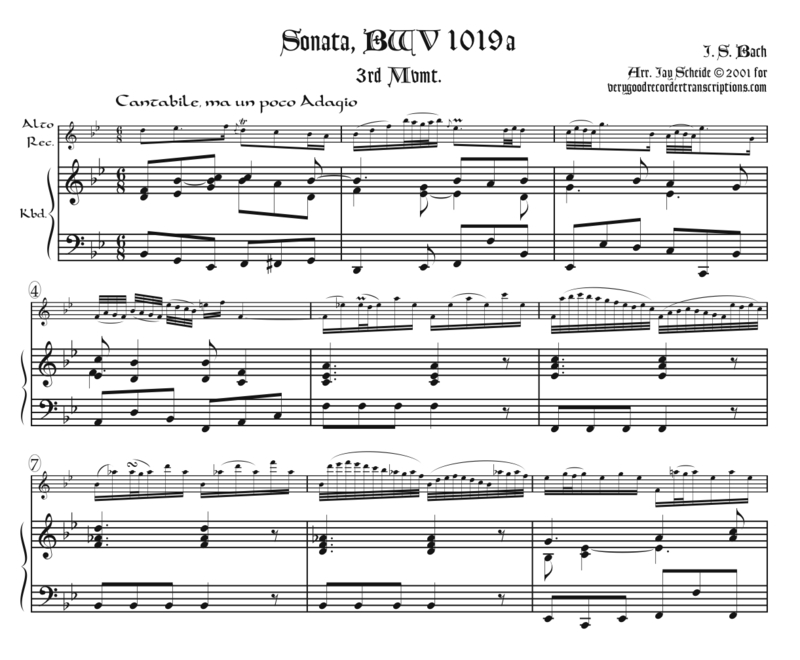 Sonata, BWV 1019a, 3rd Mvmt. Originally for violin and keyboard in G major, transposed here to Bb. BWV 1019a is an alternative version of Violin Sonata No. 6, BWV 1019. The aria for soprano, violin concertant, strings and continuo, “Heil und Segen,” from Cantata 120 is very similar and was also consulted for this arrangement. Rev. Sept. 1, 2018.